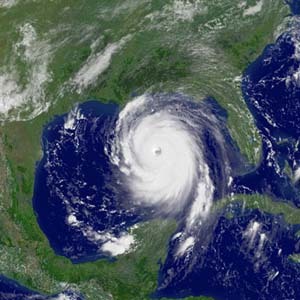 The first hurricane forecast for the 2019 Atlantic hurricane season was released this week by Colorado State University. It shows that we could see a bit of a break in the upcoming hurricane season, with fewer storms expected than the past two years. This is due in large part to the likely development of an El Niño, which has been hovering just below the level of an official declaration due to the failure of the atmosphere to link up with the oceanic signal that is clearly present. In general, El Niño years have stronger subtropical jet stream winds high in the atmosphere which tend to “blow the top off of” tropical waves, keeping them from organizing into tropical storms, and so El Niño years tend to have fewer storms. Of course, this is six months down the road, and there is a lot of uncertainty in a forecast, so this may not give you much relief. And in any tropical season, it doesn’t matter how many storms occur–it matters where they go, and if one tracks over your location, it is going to affect you. So even if there are fewer storms, you still need to be prepared for one to hit you, and to do it long before the official hurricane season starts. You can read more at the Palm Beach Post at https://www.palmbeachpost.com/news/20181227/early-forecast-for-2019-hurricane-season—two-factors-will-dictate-activity. Posted in Tropical weather. Bookmark the permalink.